The Nightingales are returning to HHN 2019. Universal Orlando Resort has announced the second house for HHN29, Nightingales: Blood Pit. This original creation maze will be set in Ancient Rome. The Italian city has been hit with the worst drought "in centuries" and the Emperor has decreed that there will be a nonstop bloody gladiatorial games until the rain comes. Unfortunately, something else is coming before then. The nightingales will be arriving to feast on the weak and the dead. These terrifying creatures have been around "since the dawn of time". They are ravenous for victims. Even if you avoid the Gladiators you need to make sure you don't become the nightingales next meal. This isn't the first time the nightingales have made an appearance at Halloween Horror Nights. Guests first encountered them at HHN21, where they found prey amongst the trenches of World War II. This time their "feeding frenzies" are going to be even more horrifying. 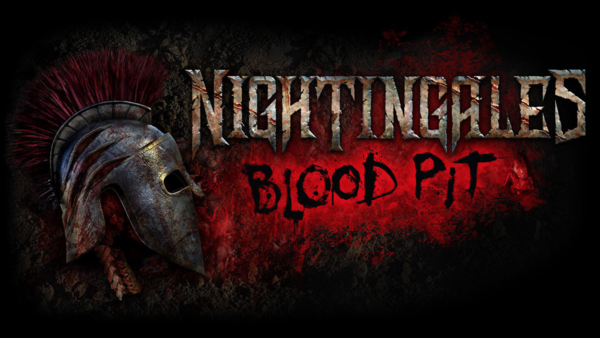 Nightingales: Blood Pit is the second house to be announced by Universal Orlando Resort for Halloween Horror Nights 29. A maze based on the second and upcoming third series of Stranger Things was announced just a few weeks ago. Halloween Horror Nights 29 will be running on select nights between Sept. 6 – Nov. 2 with some tickets now available.